There’s nothing as comforting as a big bowl of hot porridge when I roll out of bed on a cold, dark winter morning – but it has to be of the clean variety, with some extra flavour and goodness. 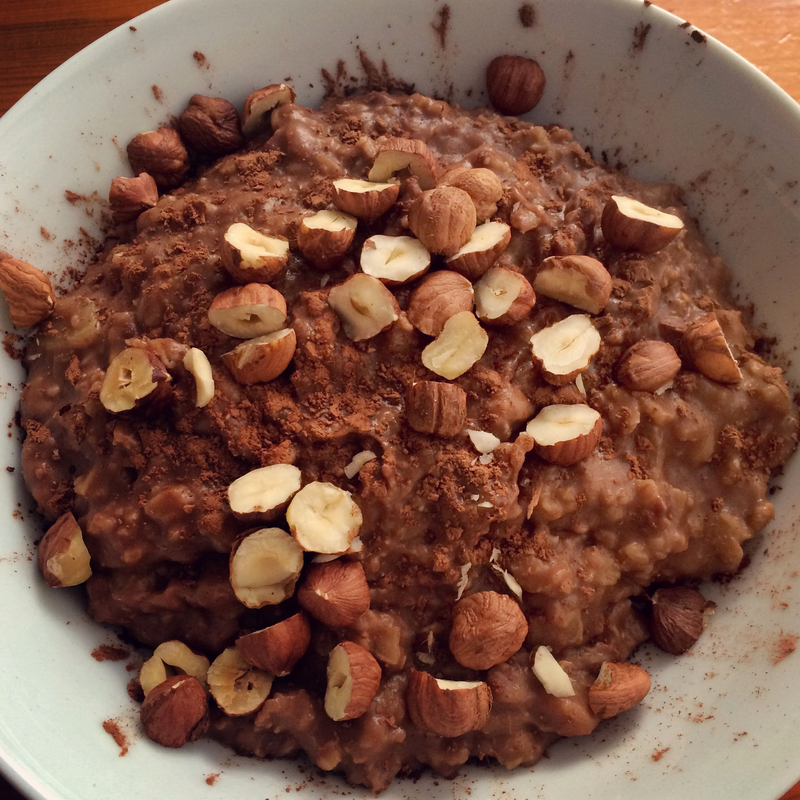 I use Koko Dairy Free for my porridge; it’s a light and delicately flavoured coconut milk that doesn’t dominate the flavours and creates a creamy porridge. Throw in the banana with your oats at the start (a trick I learned from Deliciously Ella) – it breaks down during the cooking, adding more flavour and making the porridge wonderfully puffy. Plus, cooking brings out all the natural sweetness of the banana, meaning you don’t need to add sweetener. 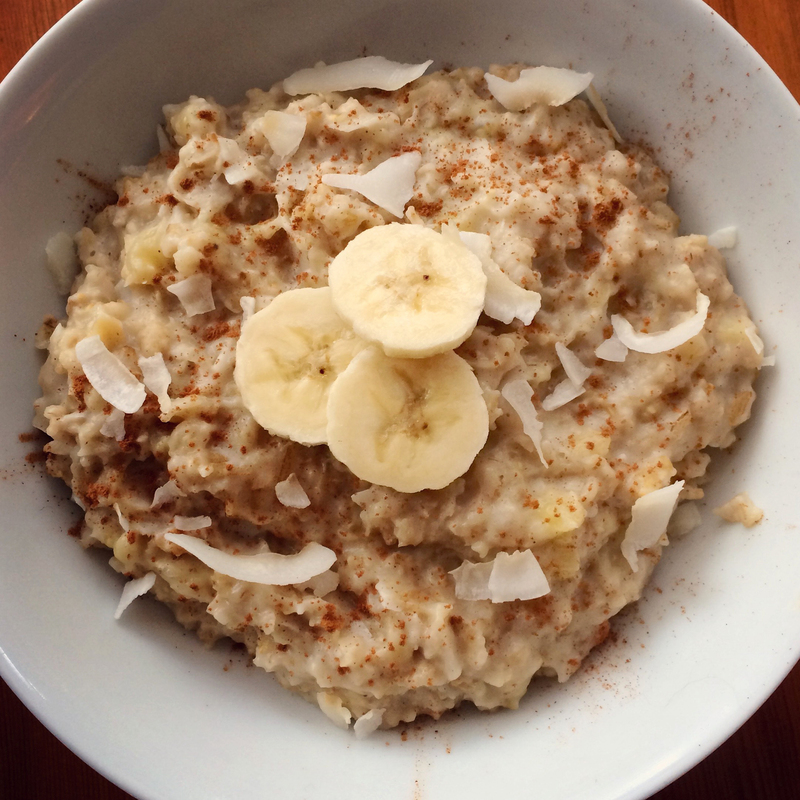 Here are two of my favourite porridge recipes based on banana. Put the oats, banana slices and coconut milk into a pan, cook to the desired consistency (add a splash of hot water if the porridge gets too dry). Add the cacao and optional ingredients, stir thoroughly, and serve sprinkled with a little extra cacao and the hazelnuts. Put the oats, banana slices, coconut flakes and coconut milk into a pan, cook to the desired consistency (add a splash of hot water if the porridge gets too dry). Add the optional ingredients and stir in well. To serve, sprinkle with a little cinnamon and add some extra coconut flakes for texture.